In a Philadelphia bookstore, African American writer Ben Crestfield asks a young woman for her name so that he can autograph a copy of his first novel for her. 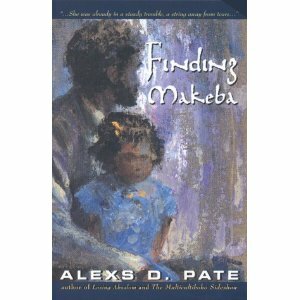 When she replies, “Makeba Crestfield,” he realizes she’s his only child, the daughter he hasn’t seen and he left her mother when Makeba was 10. Ben’s novel is the thinly disguised story of his marriage to 19-year-old Helen, who was pregnant with Makeba when he was a 22-year-old part-time English major studying on the G.I. Bill in the 1970s, and how the relationship unraveled over the next decade as he tried to be both an artist and a responsible family man, churning out copy at an ad agency to pay the bills. Makeba, in turn, hands Ben a letter and a journal in which she has recorded her reactions to his version of events. This entry was posted in Uncategorized and tagged alexs d pate, Alexs Pate. Bookmark the permalink.